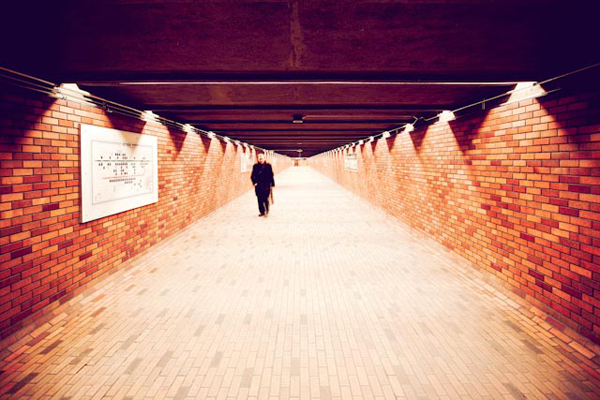 This striking photo was taken in the Bonaventure station of the Montreal Metro — our first visit to that lovely city. The photo was taken with a Canon EOS5D Mark II with a shutter speed of .2 seconds, f/3.5 aperture, 16mm focal length and 200 ISO. Bonaventure makes me think of hotels. Specifically the hotel that really ought to have a station entrance when the Regional Connector opens.